Kay Redfield Jamison has 1 media appearance. Join host Patti Digh for a discussion of An Unquiet Mind by Kay Redfield Jamison. Kay Redfield Jamison examines one of life's most exalted states: Exuberance. This “abounding, ebullient, effervescent emotion” manifests itself everywhere from child’s play to scientific breakthrough and is crucially important to learning, risk-taking, social cohesiveness, and survival itself. The book explores whether Exuberance can be inherited, parses its neurochemical grammar, and documents the methods people have used to stimulate it. KAY REDFIELD Jamison, Ph.D. "An Unquiet Mind: Personal and Professional Perspectives on Mental Illness" Dr. Jamison, a Professor of Mood Disorders and Psychiatry at The Johns Hopkins School of Medicine, is the bestselling author of An Unquiet Mind: A Memoir of Moods and Madness and Night Falls Fast: Understanding Suicide. This event is free and open to the public. This book explores the powerful domain of bipolar illness from the dual perspectives of the healer and the healed. This candid memoir reveals the author's insights as one of the foremost authorities on manic-depressive illness and from her own direct experiences struggling firsthand with the condition. This deeply powerful book has both transformed and saved lives. Kay Redfield Jamison reads from Nothing Was the Same: A Memoir. Event location: First Parish Church Meetinghouse, On the corner of Mass. Ave. and Church St. In addition to her academic works, Prof. Jamison chronicled her own struggle with bipolar disorder (severe mania and depression) in her 1995 memoir An Unquiet Mind. Kay Redfield Jamison is currently considered a "single author." If one or more works are by a distinct, homonymous authors, go ahead and split the author. 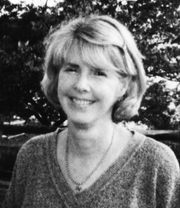 Kay Redfield Jamison is composed of 7 names. You can examine and separate out names.